Supplementary materials for teaching Issue 11 are listed below. In his essay, “‘New’ Arabic Writing: Cataclysm in Fast-Forward,” author and co-editor of Issue 11, Hisham Bustani, discusses the fall of romanticism and the rise of experimentalism in contemporary Arabic writing. A discussion with a panel of internationally known writers, editors, and translators about the themes, styles, and innovative collaborations emerging in Middle Eastern fiction, and the linguistic, political, and cultural opportunities and challenges Arabic writers and their editors face in translating and publishing new works. At ArabLit, Hisham Bustani and translator Thoraya El-Rayyes discuss how they have worked together to translate Bustani’s stories. 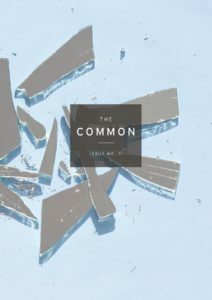 ArabLit’s M. Lynx Qualey chats with Tajdeed’s co-editors, Jennifer Acker and Hisham Bustani, about translation, editing, Arabic Fiction, and the first work of Arabic literature in translation that The Common published: Bustani’s “Freefall in the Shattered Mirror,” which appeared in Issue 6. Explore three sample lesson plans for Issue 11 adapted from Wellesley College professor and The Common contributor Marilyn Sides. See all of Issue 11.